4-David Murray MHA was born about 1823 in Edinburgh, Midlothian, Scotland and died on 24 Oct 1896 in Launceston at age 73. David was educated at James Thomson's Academy in Hobart Town. He then went to Launceston and entered actively into commercial life. For some years he represented Scottsdale in the House of Assembly. On Saturday morning Mr. David Murray, a very old and prominent resident of Launceston, passed away at his residence, Lyttleton-street, after a short illness. Deceased attended the funeral of the late Captain: James Tulloch on Saturday week, and caught a severe cold, which confined him to his bed. He was attended by Drs. Maddox and Johnson (Evandale), but rapidly sank, and died as stated. Mr. Murray, who was born in Edinburgh, arrived in Tasmania in 1826, when only 12 months old, with his parents, and, with the exception of representing the Selby electorate in the House of Assembly for some time nearly 30 years ago, he always led a retired life, although he took a keen interest in public affairs. Deceased has had a family of 12, 11 of whom are alive, there being eight sons and three daughters. Three of the family are married and reside in the neighbouring colonies, whilst Messrs. G. W Murray, solicitor at West Devonport, and T. B. Murray in the Bank of Australasia, Launceston, are sons, and Mrs. R. Sams, Hobart, is a daughter. The remaining sons are engaged in farming pursuits in Tasmania, and the third daughter is unmarried. Mr. Murray also leaves three sisters, one of whom is the wife of Mr. J.W. Lyne, of Launceston. The flags on shipping in port and at the Marine Board office yesterday were dipped out of respect to the memory of Mr. Murray. The funeral will take place this afternoon. There passed away on Sunday at her home, "Kiaroa," Lyttleton-street, Mrs. Clara C. Murray, widow of the late Mir. David Murray. M.H.A. Mrs. Murray. who had reached the advanced age of 88 years, had been ailing for several years, although her mind was remarkably active, She was a daughter of one of the early pioneers of Victoria and Tasmania -Mr. James Reid-who resided at his beautiful home at Richmond Hill, Sidmouth, on the banks of the Tamar. She married Mr. David Murray, M.H.A., the ceremony taking place in the old but pretty church at Sidmouth, which has recently been re-built. Her husband pre-deceased her some years back. She preserved a keen interest in all the events of life, and her love and know. ledge of the culture of flowers were remarkable. Even to the last she called each by its technical name. She bestowed wonderful care and attention on her flower garden, and from time to time sent to foreign countries for specimens which interested her. There remains a splendid collection of flora. To those who loved her she has left the memory of a beautiful life. Her circle of friends was large, and she was beloved by every body, her sweet, gentle nature being the most prominent of her many splendid qualities. Mrs. Murray was the mother of eight sons and four daughters. There are two daughters alive, one being Miss Murray, and the other Mrs. Clarence Lyne. Of the sons, Mr. George Murray is a solicitor, practising at Devonport, Mr. Trevor L. Murray is associated with the Commercial Bank of Australia. and the others follow agricultural pursuits. There are 21 grandchildren. The funeral will take place this afternoon. 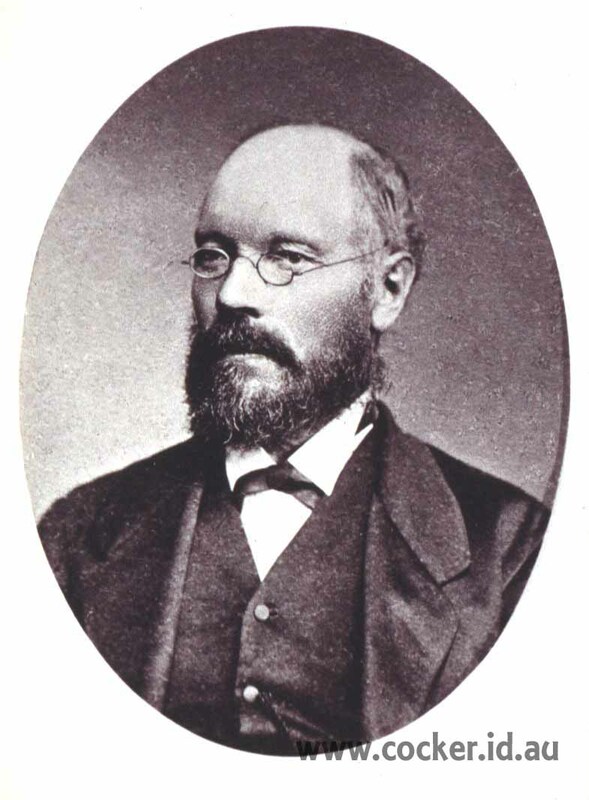 David Andrew Carmichael Murray was born on 11 Nov 1849 in Tasmania and died on 12 Oct 1929 in Tasmania at age 79. David was a farmer at Pleasant Hills and later Postmaster At Gravelly Beach, Tasmania, Australia. David married Mary Ellen Ursula Porter, daughter of John Porter and Mary Ann Joyce, on 25 Apr 1876 in Westbury, Tasmania. Mary was born on 16 Jan 1857 in Deloraine, Tasmania. Another name for Mary was Nellie. They had six children: William Douglas Carruthers, David Vernon, John, Athol Stuart, Josephine Ursula and Max Vivian. 6-William Douglas Carruthers Murray was born in 1877 and died in 1945 in Warragul, Victoria at age 68. 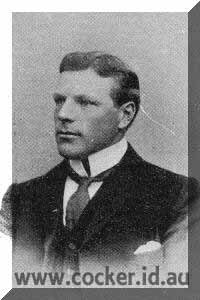 6-David Vernon Murray was born on 25 Jan 1877 in Westbury, Tasmania, died on 4 Aug 1954 in Westbury, Tasmania at age 77, and was buried in Carr Villa Cemetery, Launceston, Tasmania. David married Myrtle Adele Lillian Plummer, daughter of George Ferdinand Plummer and Christina Jane Newell, on 30 Aug 1911 in Rosevears. Myrtle was born on 18 May 1886 in Tasmania and died on 4 Feb 1962 in Tasmania at age 75. They had five children: Daphne Verna, Winifred Victoria, Vivienne Myrtle, David Valantyne and Cyril. 7-Daphne Verna Murray was born on 21 May 1912 in Launceston, died in 1992 at age 80, and was buried in Mersey Vale Lawn Cemetery. Daphne married Thomas George Gatenby on 1 Dec 1934. Daphne next married Maurice Henry Lucas on 5 Jul 1952 in St Johns Church, Launceston. 7-Winifred Victoria Murray was born on 13 Jan 1914 in Launceston, died on 23 Apr 1988 at age 74, and was buried in Mersey Vale Lawn Cemetery. Winifred married William Henry Noble on 27 Mar 1948 in Holy Trinity Church of England, Launceston. They had two children: Marilyn Joy and Peter Charles. 8-Marilyn Joy Noble was born on 24 Oct 1950 in Queen Victoria Maternity Hospital, Launceston. Marilyn married John Wayne Perkins. They had three children: Wayne Geoffrey, Rodney James and Kevin John. 9-Wayne Geoffrey Perkins was born on 23 Dec 1968 in Launceston. Wayne married Alison Dunbabbin. 9-Rodney James Perkins was born on 1 May 1971 in Launceston. Rodney married Leah Bartlett. Rodney next married Jody Smith. 9-Kevin John Perkins was born on 7 Nov 1974 in Launceston. Marilyn next married Neville Phillip Barr on 8 Dec 1980. Neville was born on 31 Mar 1947 in Hobart, Tasmania. They had three children: Jade Eric, Kristopher Neville and Tamieka Louise. 9-Jade Eric Barr was born on 7 Oct 1980 in Devonport. 9-Kristopher Neville Barr was born on 14 Apr 1992 in Burnie, Tasmania, Australia. 9-Tamieka Louise Barr was born on 10 Mar 1994 in Burnie, Tasmania, Australia. 8-Peter Charles Noble was born on 23 May 1952 in Launceston. Peter married Hendrika Martina Timmermann. They had two children: Belinda and Samantha. 9-Belinda Noble was born in 1980 in Hobart, Tasmania. 9-Samantha Noble was born in 1982 in Hobart, Tasmania. 7-Vivienne Myrtle Murray was born on 21 Jan 1919 in Queenstown, Tasmania, Australia and died on 21 Jun 1962 in Queenstown, Tasmania, Australia at age 43. Vivienne married Job Keeling, son of Job Keeling and Theresa Miriam Nielson, on 23 Nov 1940. Job was born on 20 Apr 1913 in Mann Street, Invermay, Launceston, Tasmania and was buried on 20 May 1986 in Carr Villa Cemetery, Launceston, Tasmania. They had two children: Kaye Vivienne and Judith Anne. 8-Kaye Vivienne Keeling was born on 24 Nov 1942 in St Ives Private Hospital, Launceston. Kaye married Donald Hugh Jestrimski on 22 May 1965 in Launceston. Donald was born on 6 Jun 1941 in Launceston. They had two children: Linda Maree and Josephine Louise. 9-Linda Maree Jestrimski was born on 16 Apr 1966 in Launceston. Linda married Stephen Bugg. They had two children: Christine Elizabeth and Laura Josephine. 10-Christine Elizabeth Bugg was born on 19 Oct 1996. 10-Laura Josephine Bugg was born on 19 Oct 1998. 9-Josephine Louise Jestrimski was born on 29 Oct 1970 in Launceston. Josephine married Lewis John Tate, son of John Tate and Ursula Mary Parsons, on 3 Feb 1996. Lewis was born on 29 Sep 1968. They had one son: Callum Alexander. 10-Callum Alexander Tate was born on 16 Nov 1997. 8-Judith Anne Keeling was born on 4 Apr 1946 in Launceston. Judith married Robin Woodfuff on 11 Apr 1970. Robin was born on 19 Mar 1948 in Launceston. They had one daughter: Simone Ann. 9-Simone Ann Woodfuff was born on 11 Jan 1978 in Devonport. Simone married Anthony Fleming. 7-David Valantyne Murray was born on 14 Oct 1920 in Exeter, Tasmania, died on 13 Jul 1989 at age 68, and was buried in Carr Villa Cemetery, Launceston, Tasmania. David married Phyllis Jean MacIvor, daughter of Thodore MacIvor and Sylvia Richards, on 21 May 1949 in St Johns Church, Launceston. Phyllis was born on 1 Aug 1926. They had one son: David John. 8-David John Murray was born on 3 Aug 1950 in Launceston. David married Ruth Anne Sherriff, daughter of Benjamin Henry Sherriff and Shirley Jesse Fraser, on 29 Sep 1975 in Launceston. Ruth was born on 28 Sep 1955 in Launceston and was christened in Baptist Church, Newstead, Tasmania. They had two children: Prudence and Jared. 9-Prudence Murray was born on 9 Mar 1979. 9-Jared Murray was born on 4 Nov 1981 in Launceston. 6-John Murray was born on 4 Apr 1880 in Westbury, Tasmania and died on 14 Apr 1880 in Westbury, Tasmania. 6-Athol Stuart Murray was born on 14 Oct 1881 in Westbury, Tasmania, was christened on 7 Oct 1882, died on 7 Jul 1941 in Launceston at age 59, and was buried in Jul 1941 in Westbury Anglican Cemetery. Athol was an orchardist At Exeter, Tasmania and late of 14 Erina Street, Launceston, Tasmania. Athol married Helena Frederica Alice Louise Priestly, daughter of George Priestly and Catherine Roberts, on 12 Mar 1912 in St Andrew Church, Westbury. Helena was born on 24 Apr 1883 in Connaughtville, Westbury and died on 30 Mar 1974 in Latrobe at age 90. They had three children: Catherine, Heather and Austin Dallas Stuart. 7-Catherine Murray was born on 27 Apr 1913 in Westbury, Tasmania. Catherine married William Harrison on 27 Feb 1937. They had two children: Vanessa Josephine and (No Given Name). 8-Vanessa Josephine Harrison was born on 8 Jul 1939 in Launceston. 8-Harrison was born on 23 Sep 1942 in St Ives Private Hospital, Launceston. 7-Austin Dallas Stuart Murray died in 1991. Austin married someone. He had six children: Gordon Stuart, Christine Patricia, Fairlie Joan, Anthony Leslie, Heather Eileen and Dallas Vernon. 6-Josephine Ursula Murray was born on 14 Mar 1883 in Launceston, was christened on 27 May 1883 in Church of England, Windemere, Tasmania, and died on 17 Oct 1970 in Devonport at age 87. Josephine married Victor Ridgeway Massey Priestly, son of George Priestly and Catherine Roberts, on 13 Dec 1916 in Tasmania. 6-Max Vivian Murray was born on 20 Jun 1884 in Launceston and died in 1961 at age 77. Max married Flora Starr. Clara Elizabeth Ann Murray was born on 6 Sep 1851 in Launceston. Alfred Douglasse Augustus Murray was born on 27 Aug 1854 in Launceston. Alfred had a relationship with someone but had no children. They had no children. Lillias Childe Murray was born on 24 Dec 1856 in Launceston, died on 3 Sep 1936 in St. Marys at age 79, and was buried in Sep 1936 in Bicheno Cemetery. Lillias married Clarence James Quartus Lyne, son of John Lyne MHA and Lillias Carmichael Hume, on 1 Oct 1878 in Trinity Church, Hawthorn, Melbourne. Clarence was born on 19 Aug 1855 in Spring Bay and died on 2 Mar 1923 in Stowell Hospital, Battery Point at age 67. They had no children. Louis William Murray was born on 28 Oct 1858 in Launceston and died in Fingal, Tasmania. Louis married Lavinia Emma Lyne, daughter of William Lyne and Caroline Amos, on 25 Sep 1884 in Glamorgan, Tasmania. Lavinia was born on 27 Sep 1857 in Launceston and died on 16 Sep 1916 in Fingal, Tasmania at age 58. Agnes Malvene Murray was born on 8 Aug 1860 in Tasmania, died on 13 Nov 1942 in Launceston at age 82, and was buried on 15 Nov 1942 in Carr Villa Cemetery, Launceston, Tasmania. Tertius Russell Murray was born on 16 Apr 1862 in Tasmania and died in 1949 in Cheltenham, Victoria at age 87. Tertius served in the First World War. He married Ada Louisa Glass in 1891 in Queensland. Ada died on 16 Dec 1933 in Burnie, Tasmania, Australia. They had three children: Richard Reid, David and Norman. 6-Richard Reid Murray was born on 2 Mar 1899 in Emu Bay, now Burnie, Tasmania and died on 16 Sep 1899 in Emu Bay, now Burnie, Tasmania. 6-David Murray was born in 1900 in Emu Bay, now Burnie, Tasmania. 6-Norman Murray† was born about 1894 in Jambo Quensland died on 19 Sep 1916 at Mouquet Farm, Pozieres, France. He served in 12th. Battalion 13th Reinforcement. 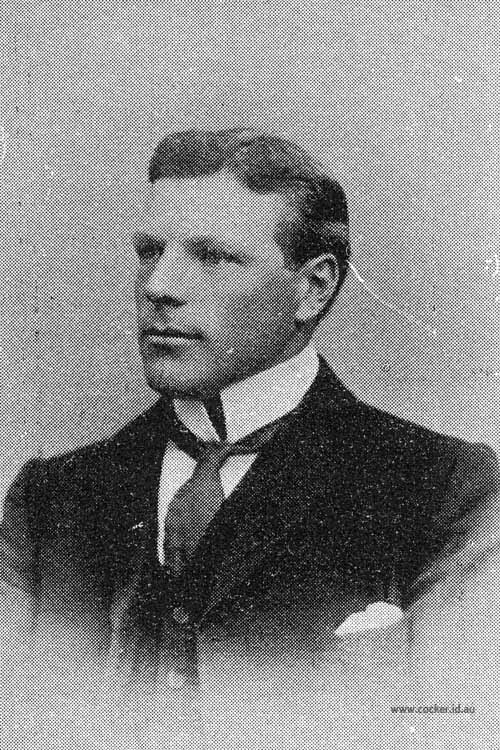 Harold Edwin Murray was born on 23 May 1864 in Launceston. Thomas Scott Murray was born on 22 Apr 1866 in Launceston and died on 29 Aug 1948 in Cheltenham, Victoria at age 82. Thomas married Isabel Scott, daughter of James Scott MHA and Agnes Mathie McGowan, on 9 May 1895 in Melrose, Newstead, Launceston. Isabel was born on 4 May 1856 in Launceston and died on 16 Mar 1919 in Hagley, Tasmania at age 62. James Scott was a brother of Thomas Scott. He arrived in Hobart Town on the Ann Jamieson in 1832 and was trained as a surveyor by his brother, Thomas. He joined the staff of the Survey Department and became the chief surveyor in the north. He married Agnes Mathie McGown, daughter of Scottish born David Mathie McGown and Clementina Towers of Distillery Creek, Launceston on 14 Oct 1845 and they had eleven children, making his home at Bowhill, Glen Dhu. In April 1852 James was engaged by the government to find a bridle road for stock from the last settlement on St Patrick's River to Cape Portland, an area not previously crossed by white man. Following that expedition both he and his brother George applied for land on the Ringarooma River at what is now Legerwood, and by November 1853 he reported that he had completed a bridle road and that the land supposed to be on the Great Forester's River was on the main branch of the Ringarooma River. He later found fertile land in the near-by Scottsdale district, which was named after him. For most of the 1850s Scott was the only surveyor in Launceston. When the lands of the Cressy Land Company were broken up in about 1854 he undertook the survey. In 1856 when Thomas's two sons arrived he trained the elder, James Reid Scott. After 1860 he restricted his activities as a surveyor. He owned many properties and an interest in a coal mine at the Don River, was a director of the British and Tasmanian Charcoal Iron Co., and a foundation director and later chairman of the Mutual Fire Insurance Co. He was appointed a justice of the peace in 1862 and served on the Launceston City Council. 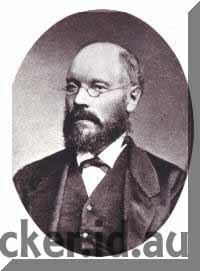 In 1879 was chairman of the Launceston General Hospital Board. For some years he was chairman of the Paterson's Plains Road Trust and was an independent member of the House of Assembly for George Town in 1869-77 and for South Launceston from 1878 until his death in 1884. Ellen Blanche Murray was born on 18 May 1868 in Tasmania and died on 20 Jun 1907 in Sydney, New South Wales at age 39. Ellen married Richard Horace Sams, son of William George Gardiner Sams and Sarah Rose Archer, on 22 Jan 1890 in St Leonards, Launceston. Richard was born in 1864 in Westbury, Tasmania and died on 5 Mar 1933 in Roseville, Sydney, New South Wales at age 69. Richard was an outstanding cricketer. Details and a photo may be found on the Launceston Cricket Club web site. Mr. Richard Horace Sams, a retired official of the Customs Department, died at his home at Roseville on Sunday, aged 59 years. He was a native of Tasmania. After serving in the Department of Mines there and In the Customs branch, he was transferred to Sydney. He retired three years ago. In his younger days Mr. Sams was a well-known cricketer. He represented Tasmania In interstate matches. He Is survived by Mrs. Sams and a family. The funeral was yesterday, the remains being, cremated at Rookwood. Canon Rook officiated. Ellen and Richard had six children: John Clive, Dorothea Rose, Clara Murray, Emily Ellen, Vida and Bijou. 6-John Clive Sams † was born on 30 Mar 1891 in Launceston, was christened on 12 Apr 1891 in Holy Trinity Church, Launceston, Tasmania, and died on 21 Jul 1915 in World War 1 at age 24. Another name for John was Jack. 6-Dorothea Rose Sams was born on 3 Jun 1893 in Launceston. Dorothea married William R. Beecraft in 1916 in Mossman, Sydney, New South Wales. 6-Clara Murray Sams MD of Sydney University was born on 5 Aug 1896 in Hobart, Tasmania. Clara married Robert C. Wilson in 1923 in Mossman, Sydney, New South Wales. 6-Emily Ellen Sams was born in 1907 in St Leonards, Launceston. 6-Dr. Vida Sams Sydney University. George Wallace Murray was born on 30 Dec 1871 in Launceston, died on 28 Jul 1938 in Devonport at age 66, and was buried in 1938 in St George's Cemetery, New Ground. He completed his studies with Dobson, Mitchell and Allport in Hobart and was admitted to the Bar on 25 Apr 1894. In Sep of that year he began a legal practice in Devonport. He played football, tennis and cricket. He was a member of the Devonport Club, a member of the Devonport Council for nine years and treasurer of the Devonport Improvement Association. His hobby was gardening. The Murrays lived on the Esplanade at Devonport; in 1904 at 'Kiaroa' and in 1907 at 'Tullibardine'. For more information see the Tasmanian Cyclopedia page 262. George married Kathleen Barbara Thomas, daughter of Turton Samuel Leipsic Thomas and Katherine Gertrude Douglas, on 12 Mar 1901 in St. George's Church, New Ground, Devonport. Kathleen was born on 27 May 1880 in Moriarty, died on 26 Aug 1963 in Devonport at age 83, and was buried in St George's Cemetery, New Ground. They had three children: Ellery Corona Fullerton, Alan Langslow and Margaret. 6-Ellery Corona Fullerton Murray was born on 9 Jun 1902 in Devonport, died on 2 Dec 1975 at age 73, and was buried in New Ground Anglican Cemetery, Latrobe. Ellery married Clyde George Campbell, son of Unknown and Unknown, on 9 May 1929 in Devonport. Clyde was born about 1901 and died on 17 Jul 1980 at age 79. They had one son: Peter John. 7-Peter John Campbell was born on 18 Jan 1930 and died on 12 Jan 1999 at age 68. Peter married Pamela Olive Laycock in Devonport. Pamela was born on 18 Jan 1930 in Devonport and died in Devonport. They had one son: Simon. 8-Simon Campbell was born in Devonport. 6-Alan Langslow Murray was born on 24 Jul 1904 in Devonport, died on 8 Apr 1964 in Sydney, New South Wales at age 59, and was buried in May 1964 in Mersey Vale Cemetery, Devonport. Alan helped the early development of the National Roads & Motorists' Association (NRMA) in New South Wales from 1923 -1949. He was educated at Launceston Grammar School and was a member of the Standards Association of Australia (for Road Signage). Alan married Norma Lillian Moyle, daughter of Hugh Edgar Moyle and Maude Cecelia Anderson, on 14 Oct 1930 in Manly, Sydney, New South Wales. Norma was born on 26 Oct 1906 in Long Nose Point, Balmain, Sydney, New South Wales, died on 30 Apr 1993 in Devonport at age 86, and was buried in May 1993 in Mersey Vale Cemetery, Devonport. They had four children: Kenneth Langslow, George Hugh, Alan David Stuart and Christopher Noel. 7-Kenneth Langslow Murray was born on 27 Feb 1932 in Manly, Sydney, New South Wales, died on 13 Jul 1977 in Hobart, Tasmania at age 45, and was buried in Jul 1977 in Sorell. Kenneth married Lois Bolton about 1956 in New Norfolk. Lois was born in England. They had two children: Timothy and Stuart. 8-Timothy Murray was born in Hobart, Tasmania. 8-Stuart Murray was born in Hobart, Tasmania. 7-George Hugh Murray was born on 1 Aug 1935 in Manly, Sydney, New South Wales. George married Valerie Dawn Brown, daughter of William Charles Brown and Rosina Thelma Gardam, on 15 Mar 1958 in Wesley Vale, Tasmania. Valerie was born on 7 Sep 1937 in Latrobe. They had two children: Ian Hugh and Andrew James. 8-Ian Hugh Murray was born on 23 May 1963 in Devonport. Ian married Carol Jean Harris, daughter of Brian Harris and Jessie Radford, on 2 Feb 191 in Devonport. Carol was born on 7 May 1964 in Latrobe. They had three children: Jordan Callin, Regan James and Lachlan Hugh. 9-Jordan Callin Murray was born on 4 Jun 1992 in Devonport. 9-Regan James Murray was born on 28 Mar 1996 in Latrobe. 9-Lachlan Hugh Murray was born on 25 Oct 1999. 8-Andrew James Murray was born on 29 Jan 1966 in Devonport. 7-Alan David Stuart Murray was born on 7 Apr 1945 in Manly, Sydney, New South Wales and died on 13 Oct 1992 in Melbourne, Victoria at age 47. Alan was a pharmacist. Alan married Janice Edwards in Devonport. Janice died on 3 Feb 2002 in Melbourne, Victoria. They had one daughter: Jane. 8-Jane Murray was born in Mar 1972 in Devonport. 7-Christopher Noel Murray was born on 2 Dec 1947 in Manly, Sydney, New South Wales. Christopher was the Town Planning Officer, Town of St. Helens, Tasmania. Christopher married Julie Hill on 8 Sep 1973 in Devonport. Julie was born on 2 Oct 1949 in Devonport. They had three children: Scott Langslow, Hugh Charles and Michelle Catherine. 8-Scott Langslow Murray was born on 19 Sep 1976 in Latrobe. 8-Hugh Charles Murray was born on 30 Aug 1978 in Latrobe. 8-Michelle Catherine Murray was born on 21 Nov 1984 in Latrobe. Christopher next married Lynette Mary Ferran on 7 Dec 1996. 6-Margaret Murray was born on 22 Jan 1907 in Devonport and died in Alice Springs, Northern Territory. Margaret married David Wishart-Smith in Alice Springs, Northern Territory. They had one daughter: Pucksy. 7-Pucksy Wishart-Smith. Pucksy married Ian Hope Murray. Trevor Lyne Murray was born on 15 Apr 1874 in Launceston, died on 16 Sep 1937 in Hobart, Tasmania at age 63, and was buried in Cornelian Bay, Hobart, Tasmania. Trevor was a bank manager on the West Coast of Tasmania, and later in Launceston, Tasmania. Trevor married Minnia Una Lyne, daughter of Harry Lyne and Sarah Lillias Hume, on 21 Jan 1901 in St Peters Church, Fingal. Minnia was born on 14 Apr 1881 in Coombend, Glamorgan, Tasmania, died on 30 Apr 1950 in Kingston Beach, Hobart at age 69, and was buried in Cornelian Bay, Hobart, Tasmania. They had six children: Caerlion Lyne, Una Lyne, Enid Lyne, Eunice Lyne, Yvonne Lyne and Morton Lyne. 6-Caerlion Lyne Murray was born on 29 Oct 1902 in Elphin Road, Launceston, Tasmania and died on 24 Oct 1973 in Mackay, Queensland at age 70. Caerlion married Norah Mary Rutherford, daughter of Daniel Rutherford and Gertrude Mary Wurtz, on 20 Aug 1932 in Mackay, Queensland. Norah was born on 19 Mar 1911 in Mackay, Queensland and died on 1 Aug 1999 in Mackay, Queensland at age 88. 6-Una Lyne Murray was born on 29 Jan 1902 in 124 Elphin Road, Launceston, Tasmania. 6-Enid Lyne Murray was born on 13 Nov 1904 in Elphin Road, Launceston, Tasmania and died on 15 Feb 1986 in New Town at age 81. Enid married Frederick William Keith Amos Hume, son of Frederick William Hume and Ada Margaret Amos, on 14 May 1930 in Holy Trinity Church, Hobart, Tasmania. Frederick was born on 25 Oct 1887 in Cranbrook, Glamorgan, Tasmania, died on 23 Mar 1937 in New Town at age 49, and was buried in Cornelian Bay, Hobart, Tasmania. 6-Eunice Lyne Murray was born on 9 Feb 1906 in 124 Elphin Road, Launceston, Tasmania and died in 1992 at age 86. 6-Yvonne Lyne Murray was born on 9 Feb 1906 in 124 Elphin Road, Launceston, Tasmania and died on 28 Oct 1994 in Launceston at age 88. Yvonne married John Eddington Cameron, son of John Walker Cameron and Margaret Jane Webster, on 15 Nov 1930 in Holy Trinity Church, Hobart, Tasmania. John was born on 25 Dec 1881 in Fulham, England and died on 9 Jun 1954 in Launceston at age 72. They had four children: John Murray, Margaret Lyne, James Edington Lyne and Alan Duncan. 7-John Murray Cameron was born on 2 Oct 1931 in Gravelly Beach, Tasmania and died in Mar 2011 at age 79. 7-Margaret Lyne Cameron was born on 12 Jan 1933 in Gravelly Beach, Tasmania. 7-James Edington Lyne Cameron was born on 12 Mar 1934 in Gravelly Beach, Tasmania. 7-Alan Duncan Cameron was born on 4 Mar 1937 in Gravelly Beach, Tasmania. 6-Morton Lyne Murray was born on 6 Dec 1914 in 41 Lyttleton Street, Launceston, Tasmania.